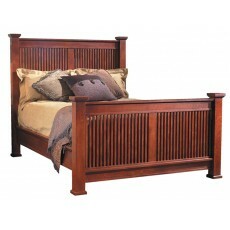 This Prairie Spindle Bed is impressive with its nearly four inch square posts and vertical spindl.. 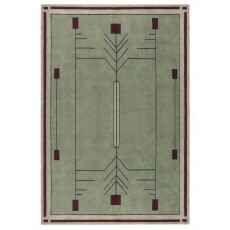 Inspired by the works of Frank Lloyd Wright and his Prairie School of Architecture, this rug is d..
An iconic 1910 L. & J.G. 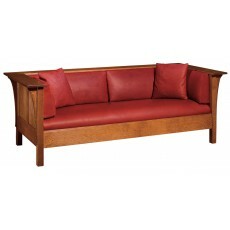 Stickley design, the 220 Prairie Settle is the epitome of the Prairi..
Standard with two 20" throw pillows. 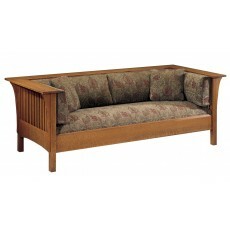 Fabricated from Oak/Cherry. 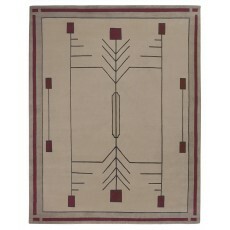 Dimensions: H29.5 W84.5 D3..